The ticking time bomb is a staple of thrillers, from James Bond and Mission Impossible movies to police- and military-focused dramas. There’s no doubt that the clock increases the dramatic tension, especially when you mix in the right stress-inducing music. But when it comes to public relations, one thing we definitely don’t need is a ticking time bomb. Crafting our news announcements or other communications, finding the right words to reflect our key messages, and putting it all out there for the consumption of the media and industry analysts provides enough stress. What we’re getting at here is that all these things should NOT be done urgently, at the last minute, unless there’s a legitimate crisis involved. Like a hurricane moving in, or the sudden discovery of a massive data breach, or some other unspeakable disaster. Too often, we find that the right people don’t approve that news release until the very last minute. Or they come through with a promised corporate presentation just minutes before an important interview or briefing. Operating in that mode just causes everybody more stress than it should. It doesn’t allow the right amount of orderly preparation required if you’re looking for the best results. Yes, we’re all really busy, and yes, technology has blessed us with the tools to make last-minute changes when we have to in order to respond to urgent needs. But when you treat everything like it’s urgent, you’re presuming that you can always defuse the bomb with just seconds left and deliver that happy ending. 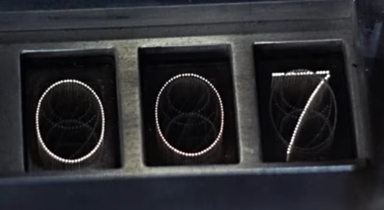 We may be able to depend on James Bond to defuse the bomb and save the gold in Fort Knox with :007 left on the timer, but in real life, sometimes that bomb blows up.